Samsung Access A827 coming to AT&T? 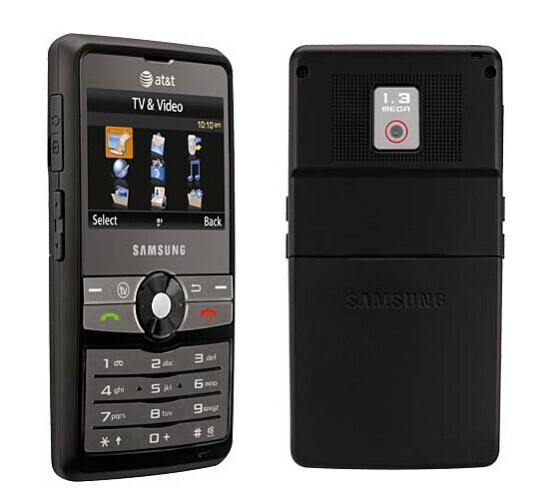 The first images of the Samsung Access A827 with the AT&T logo on it can be found on the Mobiledia. The presence of a dedicated TV button right next to the D-pad makes us think it will support the MediaFLO TV, which would make it the second phone after the LG Vu CU920 to feature that extra. Not much info about the specifications can be found. By looking at the image of the Access with nothing too extravagant the device can be proud of and considering the presence of a 1.3 megapixel camera and a small display, we think this phone will belong to the lower class of AT&T’s mobiles. Check back with us later for more info.